Ok so one of these pieces is from, well, a cocktail, I guess, but the rest of the elements are Lego. Next project: Lego Animal Ambulance. 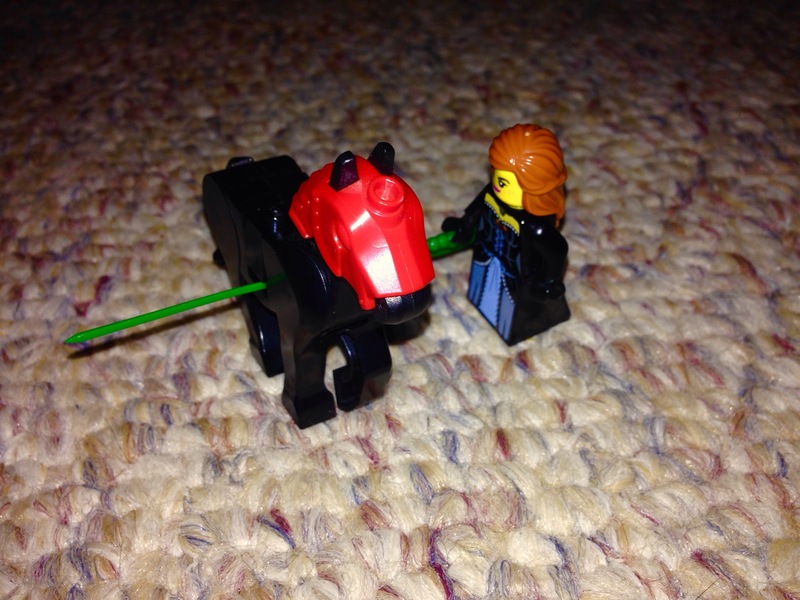 This entry was posted in fun, humor and tagged cocktail sword, horse, Lego. Bookmark the permalink. A used lego store will be opening soon in the area. They will sell discontinued sets as well as boxes of separate pieces. Perhaps something to check out when it does open.